Not sure about you, but I'm quite picky on my beauty products. Meaning I need to stick to those products when I travel. I've teamed up with BeautyFresh to bring you all the nifty tips for packing for travel, without your beauty bag weighing a ton. Make a list of things you want to pack categorized into Skincare, Makeup, Hair & Body and Misc. Usually misc is the hardest to get right, but I always include eyedrops, glasses, toothbrush/toothpaste (if needed), makeup remover, cotton bud and cotton wool. Sometimes, I also include mini sunblock bottles, lip balm and hand sanitizer. 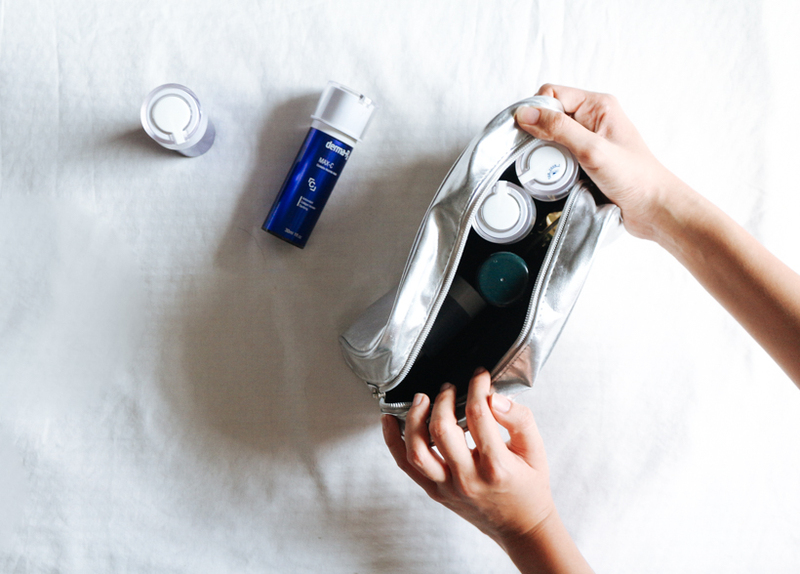 Transfer all your skincare, hair and body products into small travel plastic bottles. I get my mini bottles (100ml and up) from Muji and Daiso and I usually transfer what I need and label them accordingly. 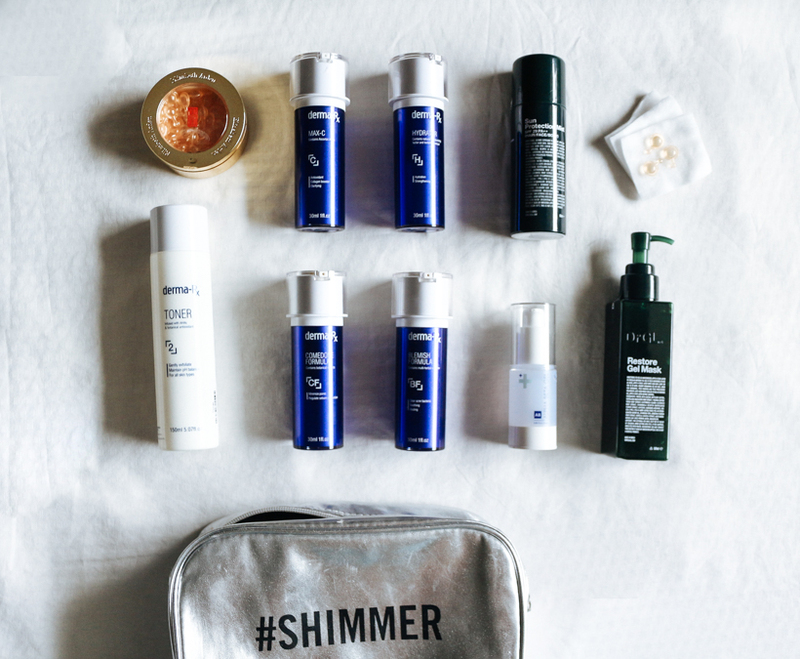 Here's what in my skincare pouch - I use all Drx products for my face and additional ones are from Fresh - I especially love its Rose Hydrating Gel Mask, Sugar Face Polish, Seaberry Facial Oil and Sugar Lip Treatment tinted balms. I also usually bring along a few capsules of this Elizabeth Arden Ceramide Eye Serum, which I got from BeautyFresh, at a 20% discount. All products stocked on BeautyFresh is priced 20% lower than standard retail price, since online retail allows them to pass the savings to consumers. You can expect international crowd favourite brands like Chanel, YSL, NARS, Mac, Lancome, SK-II and Laniege, just to name a few and they offer same day shipping for all orders, making restocking your favourites a lot more easier! 3. For makeup, take only what you need. For eyes, you don't need that entire giant palette of eyeshadows, you just need a tiny travel compact of 4 key colors, preferably 3 neutrals and 1 dark. And of course not forgetting your mascara and eyeliner. For lips, just stick to two colors - you'd need a bright red, or any bold lipsticks, since this makes for the best accessory, best if you don't usually pack accessories like me. And then pick a more natural shade. 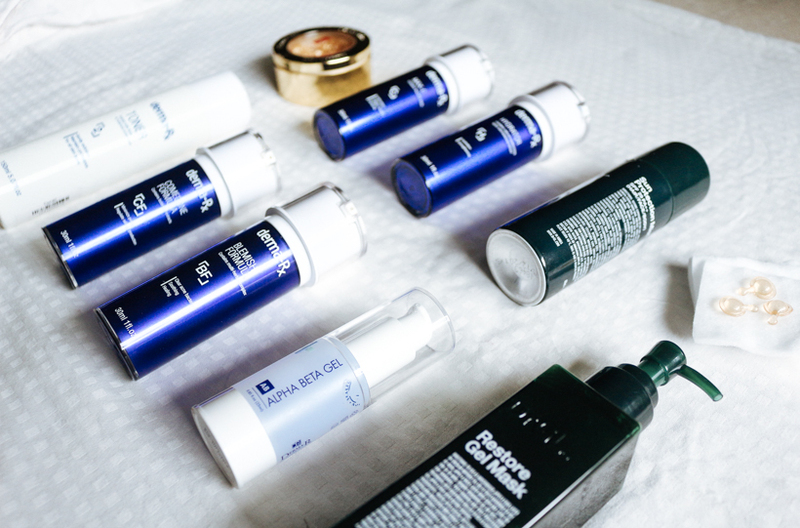 For face, stick to a multi-purpose CC or BB cream which includes SPF and moisturizing content. I also only use cream blushers as I find that they have better staying power and last through sweat/ looks more natural. 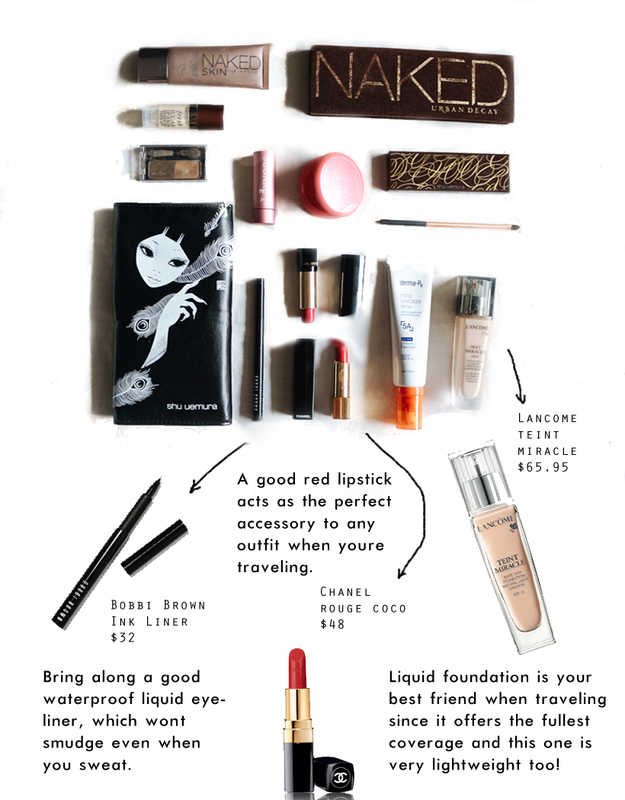 Hope this would be helpful in helping you pack for your next trip!